A group of christian media organizations are consolidating their resources in order to hold an international summit and seminar to teach and empower attendees. The Global Media Summit 2016 will present an international program that will garner talent from around the world and present to the attendees a vision of what God is doing globally. 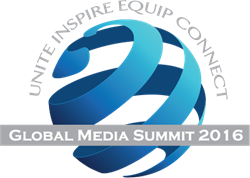 Christian media organizations are combining their efforts to host Global Media Summit 2016. 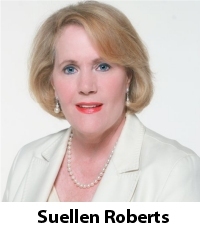 The Christian Women in Media Association is hosting the international summit Thursday through Saturday, April 28-30, 2016 in Dallas, Texas. The Christian Media Association is a partner organization. The Global Media Summit will be held at the DoubleTree by Hilton Hotel Near the Galleria, 4099 Valley View Lane, Dallas, Texas 75244. The Global Media Summit 2016 (GMS) provides a Christian platform for media professionals to be empowered by God to move forward in the secular and Christian media arenas. GMS provides the opportunity for men and women to be inspired by talented keynote speakers who are globally recognized for biblically based teaching. 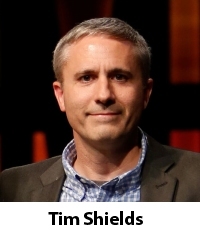 "The outstanding seminar faculty will equip each attendee to go to the next level," said Tim Shields, Co-Director of Christian Media Association. "The Global Media Summit 2016 will present an international program that will garner talent from around the world and present to the attendees a vision of what God is doing globally." The Global Media Summit seminars provide valuable training from media industry professionals who are willing to share their knowledge. Participants will receive essential information from top media professionals from around the globe in four tracks: Digital Media, Film, Writing, and Broadcast. 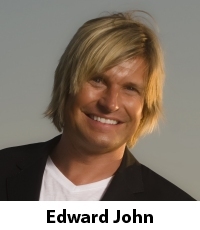 Edward John, of Norway, is an international evangelist and author, accomplished musical artist, television personality and a successful Director of Programming for a national network. He has dedicated his life to spreading the Gospel on a global scale. Wendy Alec is the Co-Founder and President of GOD TV and runs the organization from its broadcast headquarters in Jerusalem. GOD TV is Europe's first daily Christian television network that reaches 951 million viewers. The award-winning TV producer was born in London and grew up in South Africa. Diane Ofori is a singer/songwriter and an active worship leader and worshipper at her home church, Holy Nation Church, London, England. Ms. Ofori is known for her smooth jazz, sultry soul-sounding voice. John V Schow is an experienced composer and producer, and also an accomplished jazz pianist. He operates Make Music AS and Make Music Publishing AS out of his studio outside Oslo, Norway. He is also the musical director and worship leader in the Oslo-based church MOS and is a lecturer in music at NLA University College in Oslo. Erica Lane is a highly acclaimed recording artist, vocalist, and songwriter from Texas. In 2014, two of her originals were placed on the soundtracks of two theatrically released movies, Left Behind, starring Nicolas Cage, and Veil of Tears, a documentary narrated by Natalie Grant. At least a dozen of Lane's original songs have been featured on television and in films. She has released five albums in the adult contemporary and Christian music genres. For details on the Global Media Summit visit http://www.gmssummit.com. Christian Women in Media Association (CWIMA) is a professional association dedicated to connecting women in purpose and vision. With a national platform focused on impacting our culture through media, our members work in the fields of social media, film, TV, radio, publishing, music, the arts, and entertainment. The organization promotes and provides opportunities for industry networking, professional equipping, and spiritual inspiration. CWIMA provides national conferences, music showcases, regional events, local networks, and international outreach.